On election day, voters in Utah passed a medical cannabis ballot initiative, Proposition 2, with nearly 53% of the vote. But before Proposition 2 could go into effect, state lawmakers stepped in to replace it with an alternative bill that imposes additional restrictions. The Utah Medical Cannabis Act was touted as a “compromise bill” between supporters and opponents but included limited input from patient advocates. It was passed largely on party lines, 60-13 in the House and 22-4 in the Senate, with Democrats in opposition urging that the will of the voters be respected. The action came at the beginning of December as part of a special session called by the governor, who signed the bill the day it was passed. Utah state law allows citizen initiatives to be overridden by the legislature. Governor Gary Herbert pledged to implement the new program as quickly as possible, but the law sets a date of March 2020 for it to be operational. Proposition 2 would have allowed qualifying patients to obtain up to two ounces of cannabis every 14 days from up to 40 state-licensed dispensaries and allowed for edible products. The new law creates a complex distribution system of prepackaged medical cannabis “doses,” which a state-run “central fill pharmacy” would send to a local health department office for pick up by the patient. Seven to ten other “medical cannabis pharmacies” may be licensed, and 10-15 cultivators are expected to be approved. Patients with qualifying conditions and a recommendation from a medical or mental health professional will be eligible for a medical cannabis card. The legislation removed most autoimmune diseases from the list of qualifying conditions, except for Crohn’s disease and ulcerative colitis. Patient registrations will be valid for just 30 days, then subject to renewal every six months. Currently, patients diagnosed by a neurologist with intractable epilepsy can register to legally use and possess CBD extracts, but there is no legal way to obtain them. Medical cannabis patients in Missouri can look forward to expanded access and legal protections in the new year, thanks to the state’s voters. Three medical cannabis initiatives were on the November ballot, with the top voter getter being Amendment 2 with 65.5%. The constitutional amendment allows patients to register with the state Department of Health and Senior Services as of July 4, 2019 for a $25 fee. Patients and their designated caregivers will be allowed to possess up to four ounces of cannabis, though that may be increased by state officials. Qualifying conditions are broadly defined and include cancer, epilepsy, glaucoma, migraines, muscle spasms, HIV/AIDS, psychiatric disorders, any chronic condition for which a habit-forming medication is prescribed or which a physician deems medical cannabis to be an appropriate treatment. Application forms and instructions for patients and facility operators will be made available no later than June 4, 2019. The Department of Health will begin accepting license applications for medical cannabis cultivation, dispensary, manufacturing and testing facilities August 9, 2019. Up to 192 dispensaries are to be licensed throughout Missouri. State officials say the soonest medical cannabis dispensaries will be serving patients is January 2020. Because the new law is a constitutional amendment, any changes to it would need to pass in the Missouri legislature then be put to a public vote. Medical cannabis researchers traveled to Johannesburg, South Africa to meet with stakeholders about creating safe access in the region. 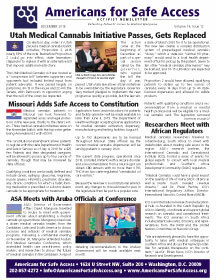 ASA's research partner, the International Cannabis and Cannabinoid Institute (ICCI), hosted a series of events for global experts to consult with local medical professionals and Southern Africa Development Community (SADC) regulators. “Medical Cannabis could have a great impact on the quality of life of many SADC citizens as well as create much needed revenue streams,” said Dr. Pavel Pachta, ICCI’s International Regulatory Affairs Director. “However, the success of the programs will rely on the legal framework at the heart of programs to ensure that they can be rolled out without stepping outside the UN Treaties and the respective government obligations. 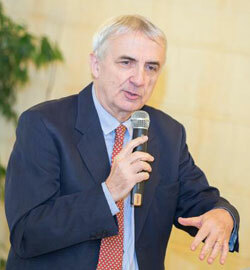 Dr. Pachta is a former Deputy Secretary of the International Narcotics Control Board (INCB). ICCI is an international research and educational hub co-founded in the Czech Republic by ASA to identify, coordinate and support global research on cannabis and cannabinoid treatments. The ICCI seminars in South Africa include patient advocates, clinicians, and representatives from the INCB and the United Nations Committee on Narcotics Drugs (UNCND). Seminars included one for medical cannabis industry entrepreneurs, sponsored by Webber & Newdigate, a commercial law firm based in Lesotho and South Africa. Lesotho in 2017 licensed companies to produce medical cannabis. Since then other SADC countries have taken steps towards medical cannabis programs. ASA’s Director of Government Affairs David Mangone travelled to Aruba to meet with government officials about establishing a medical cannabis program there. 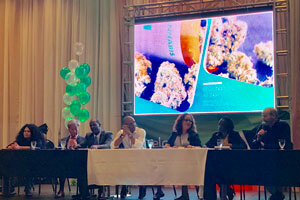 Mangone joined over a dozen medical cannabis leaders from the Caribbean, Latin and South America to discuss successes and setbacks of medical cannabis programs. Following a confidential meeting on November 30, Mangone attended Aruba's first Medical Cannabis Conference, which assembled health care practitioners, policy makers, and researchers to discuss the future of medical cannabis in the Caribbean. A report detailing recommendations to the Aruban Government will be made available next month. A trio of bipartisan bills that would create new medical cannabis policies at the U.S. Department of Veterans Affairs (VA) have been introduced in Congress. Reps. Matt Gaetz (R-FL) and Seth Moulton (D-MA) introduced the three measures, which would respectively survey veterans and VA healthcare providers nationwide about medical cannabis use (H.R.7128), create a continuing education program on medical cannabis for VA healthcare providers (H.R.7129), and allow veterans to discuss medical cannabis with their VA doctors (H.R.7130). VA policy does not prevent veterans from participating in state medical cannabis programs, but VA doctors are barred from signing recommendations. None of the proposed bills would change that. Qualifying patients in South Korea will be allowed to possess and use CBD products. Lawmakers in the conservative Asian nation approved the plan last month to provide access to hemp-based CBD products. In July, the country’s Ministry of Food and Drug Safety approved the prescription of the cannabis-based drugs Epidiolex and Sativex. Epidiolex is a CBD extract that has also been approved in the U.S. for two rare forms of childhood epilepsy. Sativex is a 1:1 THC:CBD extract that is available to treat spasticity associated with multiple sclerosis in more than a dozen countries outside the U.S.
Last month’s free PFC webinar on using method validation in a variety of processes is now available for viewing on ASA’s YouTube channel. The 30-minute webinar with PFC Director Heather Despres covers how to use methods developed for laboratories to produce consistent processes and products. The talk reviews how validation fits into a well-rounded quality system that includes different validation processes for methods, equipment, cleaning, cultivation and manufacturing. On January 25, please join ASA for a fundraiser and networking event to raise awareness about medical cannabis as a safe alternative to prescription opioid use. Everyone is welcome to attend this event to support the “End Pain, Not Lives,” national campaign, including medical cannabis industry professionals, providers, patients, caregivers, students, advocates, medical and legal professionals, policy makers, and concerned citizens. Spread the word by sharing the link on social media and inviting friends to attend the event. Space is limited, so buy your tickets soon to secure a spot. If you cannot attend in person, but still want to give, please choose the donate-only ticket option. A list of donor names will be shown at the event. For sponsorship information, please contact Reenal@safeaccessnow.org. Early Bird Registration is now open for ASA’s 2019 National Medical Cannabis Unity Conference. The 7th annual conference will be held next year in Washington, D.C. from March 18-20. The theme for 2019 is “The Price of Being a Medical Cannabis Patient," with panels on the financial and social barriers patients face. Scholarship applications for activists to attend the conference are open until January 6, 2019. ASA will be awarding a limited number of scholarships to those who have a financial need that may prevent them from otherwise attending. In order to qualify for a scholarship, you must commit to attending ASA’s congressional lobby day during the conference, and have taken action with ASA in the last year. A final decision will be made by January 18. The Patient Focused Certification program recently submitted an application for ISO 17065 certification. PFC is working with the American Association of Laboratory Accreditation (A2LA) toward becoming certified for ISO 17065 Product Certification Bodies. PFC aims to set the national standard in cultivation, manufacturing, dispensing, and laboratory third-party certifications and is continuing to create a better industry by performing assessments for cannabis businesses. Doug Rice, a retired firefighter and paramedic in Utah, became a medical cannabis advocate on behalf of his 26-year-old daughter, Ashley. Ashley was in her mid-teens when she had her first drop seizure at school. Gradually they increased in severity and frequency until she was experiencing a dozen grand mal seizures each day. Ashley’s epilepsy is part of an extraordinarily rare genetic condition called PURA Syndrome that results from a chromosome malformation. The condition has been identified in fewer than 500 people worldwide. As Ashley’s seizures escalated, Doug, like so many parents of children with seizure disorders, started investigating using CBD extracts to control them. The neighboring state of Colorado provided options for investigating various cannabis medicines. Pure CBD extracts initially reduced Ashley’s seizures from a dozen a day to a couple, but then the seizures came back up to a few a day. They discovered that a 10:1 CBD:THC ratio medicine produced total seizure control. That convinced Doug to advocate for making these types of medical cannabis products available in Utah. Doug lobbied state lawmakers in 2014 on behalf of the CBD bill that was eventually passed, and pushed for more access. 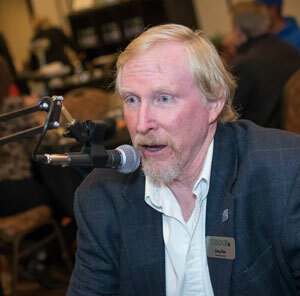 In 2016, he worked on Senate Bill 73, which would have expanded Utah’s program, but after passing the state senate, the bill died in committee in the assembly. After that, Doug and other advocates decided to change their approach. “We had to do something ourselves because the legislature won’t act,” Doug says. That led them to draft a citizen initiative to fix the state program’s shortcomings and gather signatures to place it on the ballot. Proposition 2 passed with 52.75% of the vote, despite opposition from the Mormon church. The proposition never took effect because lawmakers stepped in to replace it with a complex bureaucracy of tight controls that will limit access. In addition to his advocacy work on medical cannabis, Rice has served in leadership positions for the Epilepsy Association of Utah. He became vice-president of the organization in late 2016, and last year became state president through July 2019. When he was working on the state’s CBD-only bill, known as Charlee’s law, in 2014, he got to see the power of concerned Utah parents in action. 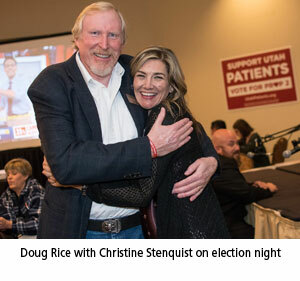 Rice is disappointed that state lawmakers have watered down the legislation he and other patient advocates worked so hard to get passed, but he’s determined to continue working with ASA-affiliate TRUCE and the Utah Patients Coalition, which spearheaded the initiative drive. “Our work is not done,” he says. 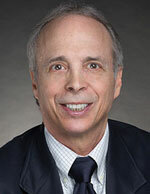 ASA’s annual Unity Conference and Lobby Day March 18-20, 2019 is a unique opportunity for patients, advocates and other stakeholders to get educated on critical issues and take action on behalf of Safe Access. Register for the conference today or fill out a scholarship application and spread the word.